Long term igoo clients, Peaches and Cream, are doing their bit for Comic Relief this year by raffling the ultimate prize for any beauty addicts and make-up fanatics out there. 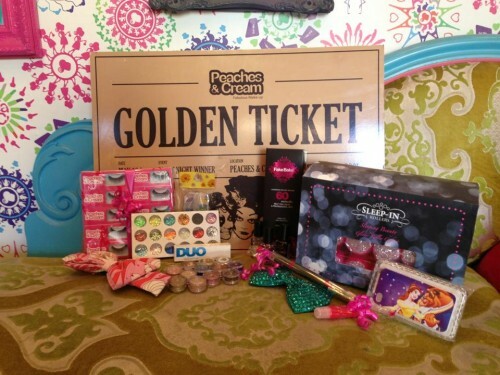 The bundle includes a golden ticket, for £170 worth of makeover treatments, as well as a extra special goodie bag of £200 worth of Peaches goodies! For your chance to win, head down to Peaches and Cream before 6pm on Saturday and pick up a raffle ticket (or two!) for just £1. The winner will be announced later that evening so make sure you’re following both their Facebook and Twitter pages to be the first to know. Good Luck!